Guérin owed much of his fame to a significant breakthrough he made in the battle against infection. In the 1860s he invented a method which he called pansement ouaté, and which entailed dressing wounds in layers of cotton wool to exclude air. 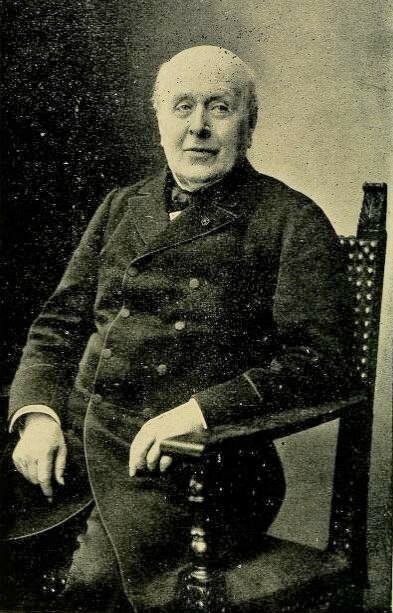 Even before the adoption of the antiseptic technique of Joseph Lister, Guérin achieved a significant reduction in infection rates: in 1870 more than half of Guérin’s patients survived leg amputations without infection, a success rate unheard of in Paris at the time. A woman, aged 63, entered the St. Louis Hospital for a dislocation of the shoulder of three months’ date, the arm being in a state of complete paralysis. The patient having been placed under chloroform, extension was made, through the medium of bands applied above the elbow and at the wrist, by four intelligent assistants. A procedure which was already quite routine at this date. The basic technique involves pulling (‘extending’) the arm before manipulating the top of the humerus into the joint until it pops in with a satisfying clunk. Since this can require considerable force it may be traumatic for the patient, hence the use of chloroform. This case sounds a particularly tricky one, given that the shoulder had been dislocated for several months; the paralysis was a bad sign, suggesting that serious damage had occurred to the nerves, blood vessels or both. But nobody was expecting what happened next. While traction was thus being accomplished gently, a noise was suddenly heard, the separated limb fell to the ground, and the opened artery freely spirted out its blood. ‘Her arm fell off’ is a pretty dramatic complication for a routine procedure, and – it’s fair to say – a rare one. This was compressed and tied; the projecting end of the bone was excised, and covered over by a lateral flap which had been left when the limb was torn away. Making the best of a bad job: the surgeons found themselves unexpectedly performing an amputation. On examination, the limb was found to have separated at the elbow-joint, and every tissue, muscle, bone, vessels, etc., was found from one to the other in a soft and friable condition. The muscles separated under the pressure of the finger just as would a soft coagulum of blood; and the bones were also excessively friable. Microscopical examination further exhibited complete disintegration of the various tissues. The lower part of the limb appeared to be completely dead. This condition of the parts sufficiently explained the occurrence, but it remained a matter of great surprise that such changes, comprising all the tissues of the limb, should have continued latent and unrevealed by any outward sign. The strangest part of this odd case was that there was no external indication that necrosis (tissue death) had occurred. Neither oedema or any trace of inflammation or suppuration was present; and prior to the accident nothing was present besides the ordinary signs of an old dislocation. The traction employed was but moderate, the assistants standing quite erect. In other words, they barely touched it, boss! What on earth had happened? Naturally there were animated discussions between the numerous medics who had witnessed the extraordinary accident. The majority believed that it was the consequence of prolonged paralysis, which had caused the tissues to wither. One, M. Voillemier, suggested that the chloroform had made the muscles relax excessively, making it easy to tear them. Another, M. Broca, believed that pre-existing disease had made the bone and surrounding tissues unusually delicate. This suggestion may have some truth to it: a condition like osteoporosis may well have made the bones brittle. There is another possibility, not mentioned at the time: the compression of major arteries may simply have prevented adequate blood from reaching the lower part of the arm, causing necrosis and eventually gangrene. If this was the case, however, it is surprising that the woman was not in any great pain – and one would expect it to be fairly obvious that the limb was so disastrously compromised. M. Guerin’s patient died a few days after the accident, the autopsy furnishing no explanation of the cause of death. No statement is given as to whether the other bones of the skeleton manifested appearances of disease.